I'm so sorry this wasn't up yesterday as planned, unfortunately I ended up spending my Thursday evening in A&E. I'm all ok which is the main thing, but it's not exactly my idea of a relaxing evening and it meant I just didn't have time to finish some last minute edits to this post to get it up in time. So instead I'm finishing up my favourite podcasts of the moment today. These ones, like Monday's recommendations, are *the bomb* so give them a listen and let me know what you think! In the meantime, if you missed Part i of my favourite podcasts you can read that here. 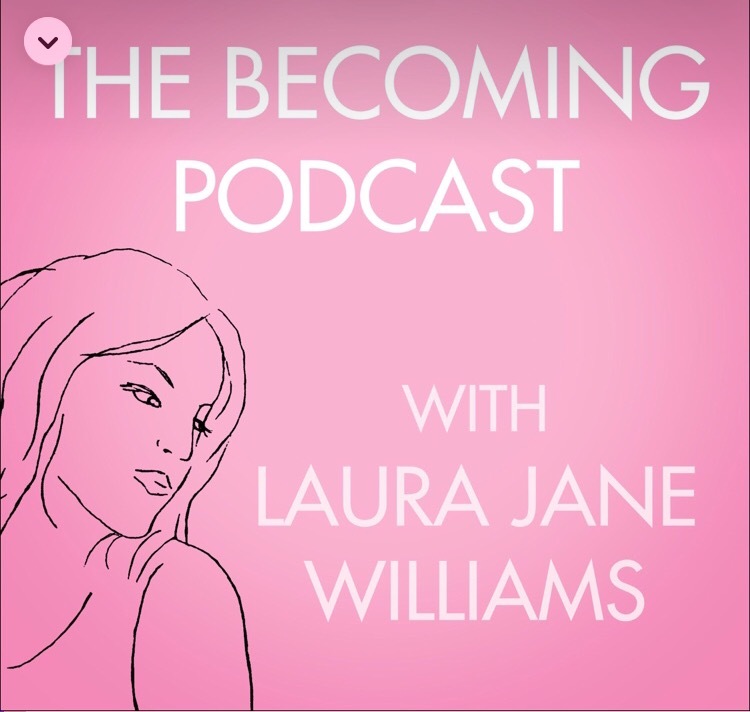 6 // The Becoming Podcast - I first heard of Laura through the incredible Meg's blog. When Meg praises someone's writing, I'm the first to take her word for how good it will be. And that led me to Laura's blog, Superlatively Rude. As Meg had promised, Laura's writing is just divine and I've read every post she's written since discovering her blog. Through following her since then (bear with me, this is a bit of a tangent-prone story! ), I found out about her book, Becoming, which is being published in June this year. It's all about Laura's becoming and how she's grown into the person she is. 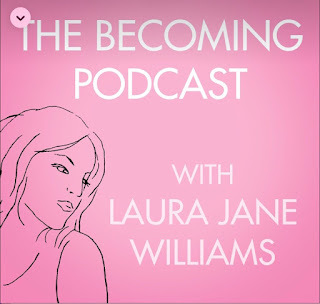 Out of this idea, The Becoming Podcast was born at the start of this month. And boy, am I obsessed with it. Every episode focuses on a specific person's becoming and I'm learning so much from it. The episode with Daisy Buchanan has to be the highlight for me so far, but you simply must have a listen to this if you haven't already. 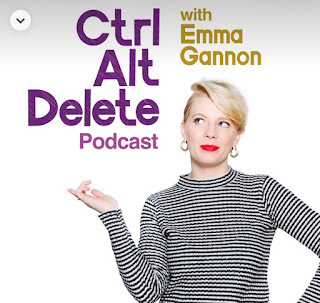 7 // Ctrl Alt Delete - I'll try and make this not so long of a story as the last one but, in a similar vein, I found Emma's blog, Girl Lost in the City, through Laura! Keeping it short and sweet, love her blog, so excited for her book which I believe is out in July, and this podcast is sensational. I listened to the episode with Dawn O'Porter on Wednesday which told me everything I needed to hear at that moment in time. 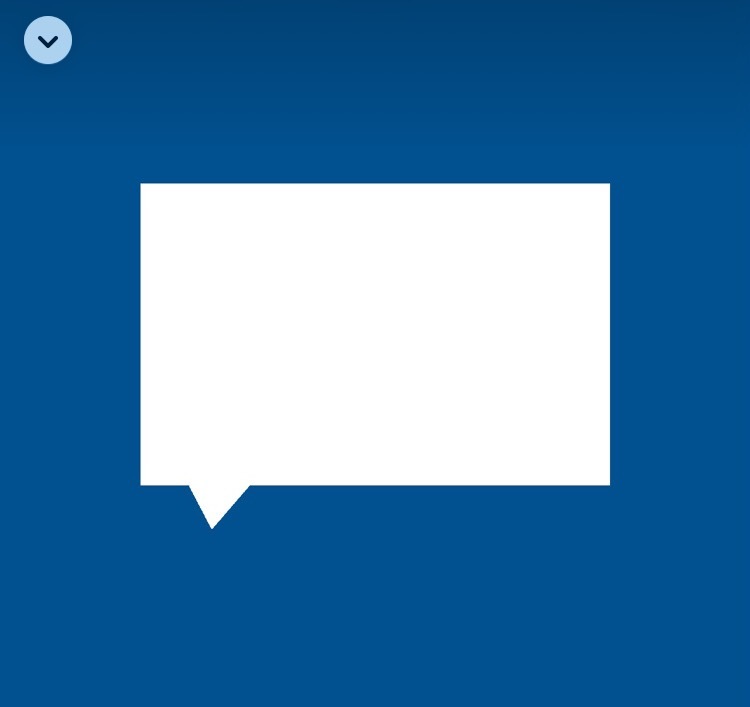 Podcasts have a funny way of doing that I find, and this is definitely worth giving a listen. 8 // Filler - I've mentioned Filler before, in fact, I wrote a whole post on it which you can read here if that takes your fancy. It's a creative industries podcast in which Harry Hitchens and Matt Shore interview people working in range of jobs in the creative industry. Every single episode is so insightful and this podcast is probably the one that I find the most inspiring from the perspective of a student who will, hopefully, be entering the world of work in a few years. 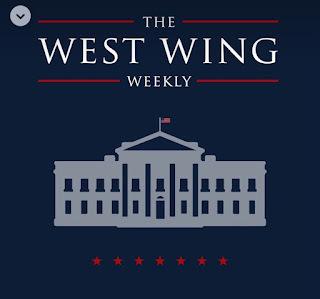 9 // The West Wing Weekly - Subscribing to this podcast may just be the nerdiest thing I've ever done. But I DON'T EVEN CARE! This podcast is hosted by Hrishi Herway and Joshua Malina, who plays Will Bailey in the show. The premise of the podcast is essentially that they go through each episode in order and discuss it, sometimes with guests who have also acted in or worked on The West Wing. 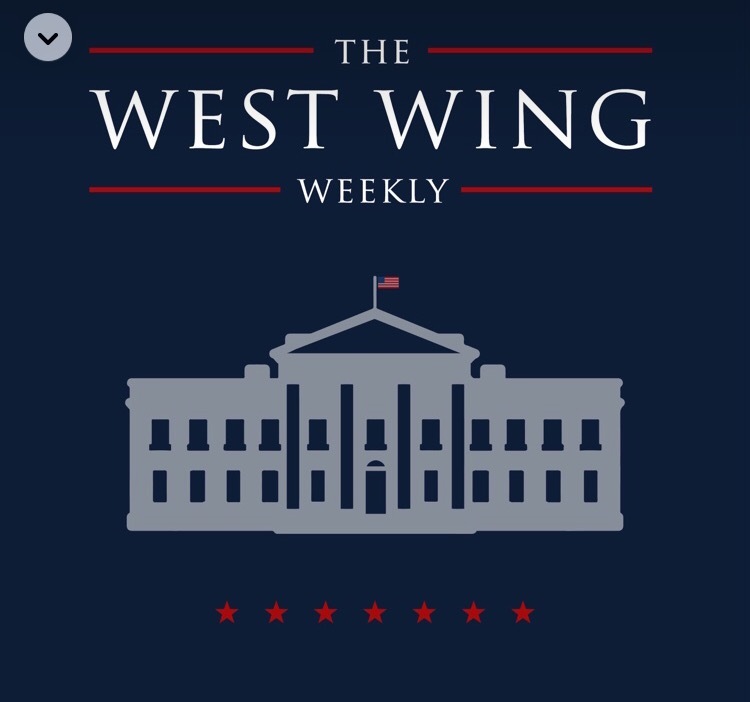 I adore The West Wing show and am heartbroken that I've nearly come to the end of it (one more season to go) so this podcast will keep my West Wing fix alive once I've finished the show. A bit of a niche one but if you're a West Wing fan, this one's for you. 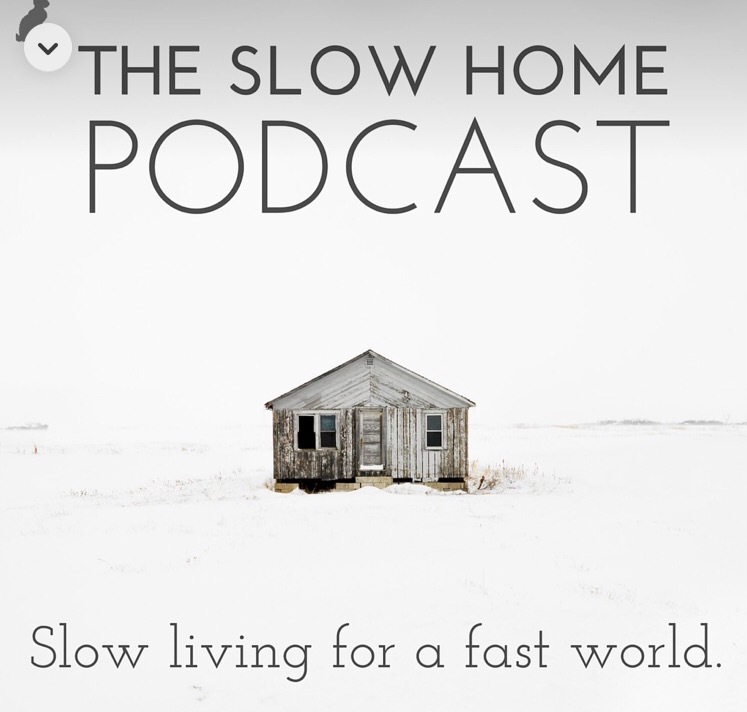 10 // Slow Home Podcast - This is a relatively new discovery for me, after reading Jenny's post on it. It's quite similar to The Lively Show (on my list from Monday), in that Brooke interviews similar people. I love the fact that Brooke and her husband also make episodes about projects they're taking on each month. 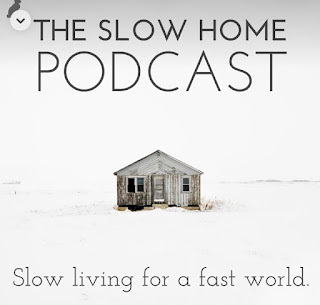 From yoga every day to a month of no sugar, they're really interesting and in this day and age who doesn't like the idea of perfecting the art of slow living?! So there you have it. Ten podcasts you should most definitely give a listen. Let me know what you think of them if you do! I'm off now, hope you all have a fabulous long weekend. I've been mentioning for quite a long time now how much I've got into listening to podcasts over the past year or so. Living in London without a car and Exeter when I'm at uni where I wouldn't really need to drive anywhere even if I had the option, I do a lot of walking. And I love that actually. I find that walking never fails to help me clear my head if something's on my mind and, if not, that it's just incredibly relaxing, no matter how appealing staying in bed all day can be. But sometimes I get a little bored of all the thoughts running around my head and, while music can tune those out a little, I found myself really wanting to listen to something that would engage my mind a bit more if that makes sense. With that in mind, I opened the Podcasts app on my iPhone for the first time since buying it. And, not to be overdramatic or anything, but it has totally changed my walking life. I also find listening to ten minutes of a podcast episode if I can't sleep helps to prevent me from getting to the point where I just want to scream because I know how tired I'll be the next day even though I'm trying all I can to get to sleep. We've all been there... right? Anyway, most of the podcasts I listen to week in, week out, I've come across from others' recommendations and so I thought I'd finally get around to sharing my own. I've cut them down to my favourite ten podcasts and am going to share five of those with you today and then five on Friday. The ones I'm telling you about today are generally the ones I tend to listen to more in the week when I'm walking to uni lectures or making myself dinner and the ones I'll share on Friday are more ones I like to listen to at the weekend when I just want to relax and really listen to the podcast. That's not to say that I don't concentrate when listening to these ones, just that I find it easier to multi-task while still absorbing what they're saying with the ones below. 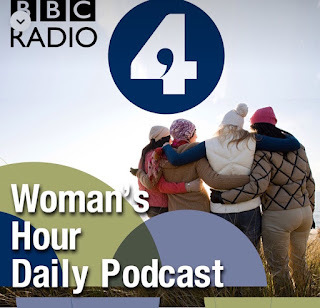 1 // Woman's Hour - BBC Radio Four's Woman's Hour must have been the first podcast I subscribed to. I can't remember exactly where I heard about it from but I saw that they seemed to be discussing incredibly interesting topics and, having listened pretty regularly for a year now, can confirm this is a hugely insightful podcast. They always have a range of guests on the show, from author Cheryl Strayed to singer Carrie Underwood to UK junior doctors discussing their current issues with government so there is something for everyone. 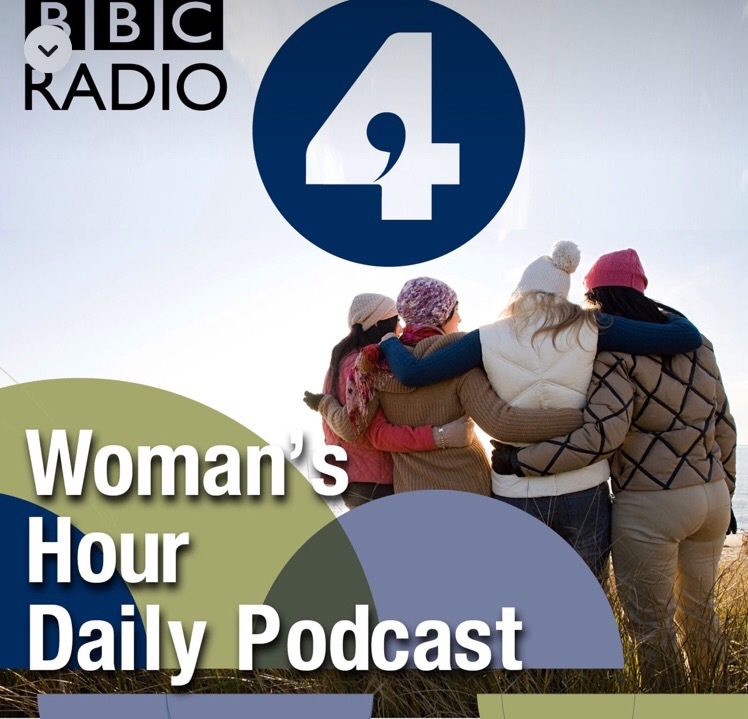 Their discussions are always incredibly informing and I love to listen to Woman's Hour to broaden my horizons on a given issue. Well worth a subscription if you ask me! 2 // Ladies Who Lunch - This podcast is a pretty new one, having launched its first episode just under a month ago, but I am already obsessed with it. Its premise is that it's a conversation between YouTubers Ingrid Nilson and Cat Valdes discussing "topics often left out of polite conversation". 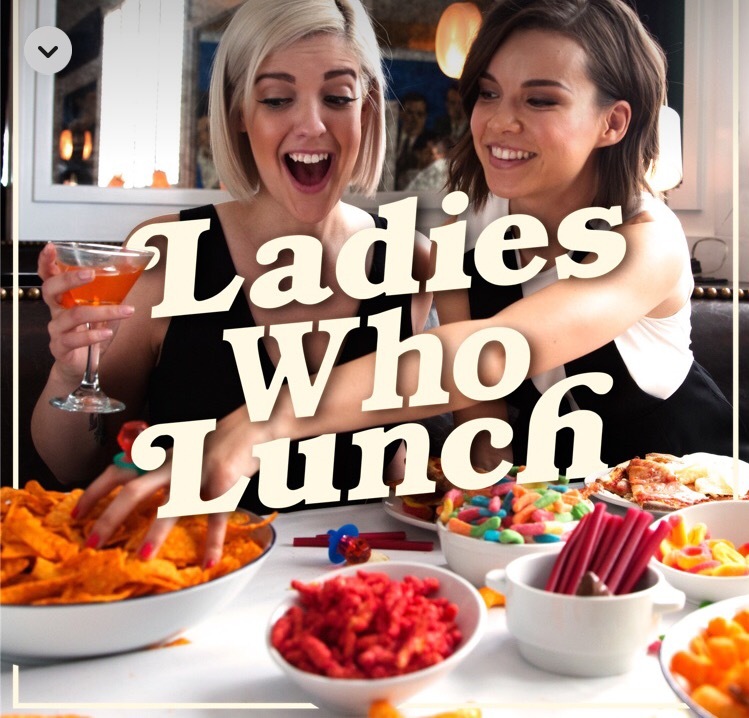 With episodes so far talking in depth about friendship, feminism and objectification, online dating and body image, these ladies have created a podcast that always leaves me wanting to hear more and kinda wanting them to be my best friends. 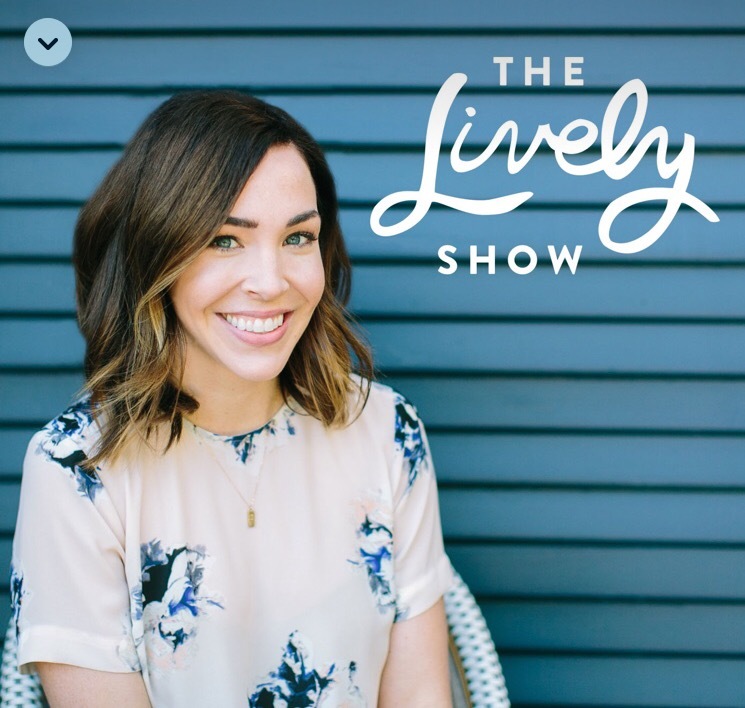 3 // The Lively Show - Ah, The Lively Show. This was my second ever subscription on recommendation by Rosie and I don't think I've missed an episode since I subscribed. 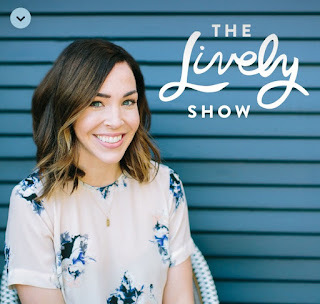 Jess seems like such a lovely person and the premise behind her podcast is that she's trying to cultivate a life lived with intention, something I'm sure we'd all like to aspire to. Each week, she interviews someone about their story and how they're living their life ensuring they stick to the values they want their life to be centred around. I mentioned the Alisa Vitti episodes on pleasure as being particular highlights of mine and I'm also really enjoying Jess' bonus episodes in which she's started discussing her monthly favourites. Such a great podcast. 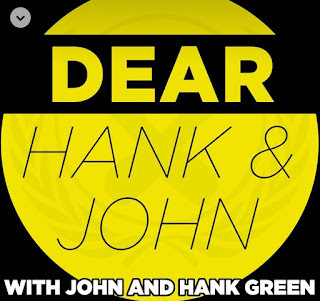 4 // Dear Hank and John - I've loved John and Hank Green's YouTube channel for a good couple of years now, I get the impression that they're such genuine people, so when I heard they were launching a podcast just under a year ago, I was pretty fast to subscribe. This is such a funny (despite the many conversations about death) and uplifting podcast (again despite the many conversations about death). John and Hank essentially take questions listeners have emailed in and give their famously dubious advice. It can go from being very light-hearted to talking about the meaning of life in mere minutes and I kind of love that about it. 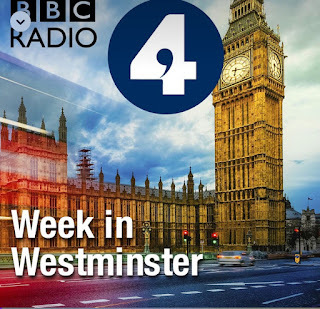 5 // Week in Westminster - Two BBC Radio Four recommendations in one post?! I know, I know I must seem like such a granny. But the truth is I am unashamedly a complete politics nerd and find it really interesting. While when I was doing politics A Level it was incredibly easy to keep up with it, at uni (where I'm studying history and philosophy) it takes more of an effort. 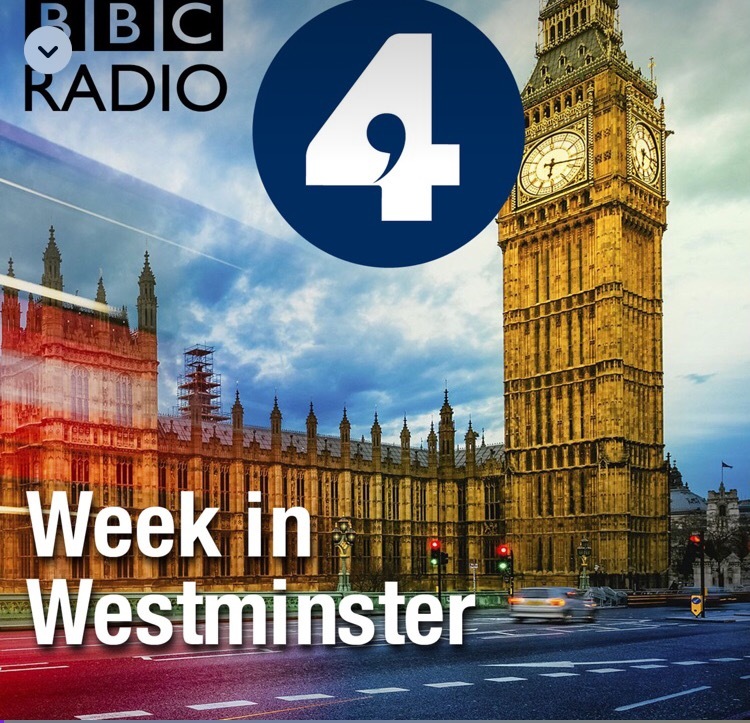 Listening to this podcast, which, as the name suggests, essentially sums up the goings on in Parliament from the given week, makes it all a lot easier and less arduous to keep up to date with what's going on. If you're looking for a way to understand what's going on in politics without giving yourself a massive headache I'd really recommend you give this a listen. Let me know if you're subscribed to any of these/other podcasts and what you think! I'll be back on Friday to share five more of my favourite podcasts. Have a wonderful week in the meantime! Happy weekend everyone! How are you? I hope you're all having a lovely one. This week just gone and next I'm doing a work experience placement in Hodder & Stoughton's publicity department. Halfway through it, I'm absolutely loving it and finding it so interesting. While it's amazing, I've been coming home exhausted and not had much time so everything's been a bit hectic and I'm very glad of the weekend to give me the opportunity to gear myself back up for next week! Now that that mini summary of my week's done (you're welcome btw), on to the point of this post. Being at uni and living in halls with other people inevitably means you end up spending a huge amount of time with your flatmates - that is, if you get on well with them of course, which I very much do. Because of that though it's really odd to come home for the holidays and not see them all the time. To rectify that, three of the boys came to London to visit me and Ellie (Ellie lives in Surrey so we manage to see each other fairly easily over the holidays) and, given that the three of them aren't Londoners, it gave me an excuse to play tourist. We went for lunch at Homeslice (which is my new favourite London restaurant), visited Hamley's and walked along Southbank where we stopped to take some classic tourist photos. The weather was great, albeit a little chilly due to the harsh wind, and it was so nice to catch up with everyone. It's not often I get to show people around even just a little bit of London who don't know it well so it was lovely to do that. The boys often incessantly nag point out that I haven't properly mentioned them here and, while I'm very reluctant to give in to them, this lot have become some of my closest friends and a really big part of my life. When you think about it, it's so strange that when you go to uni you're just sent to live with a bunch of strangers and it's all pretty much left down to luck of the draw whether you get along with the people you're living with. Never in your life again (I'd imagine) would there be another likely circumstance where that would happen and I think your flatmates can really make or break the experience of first year. I don't want to get too soppy because they won't shut up about it if I do when we go back to Exeter, but I really do feel so lucky to have this lot in my life. 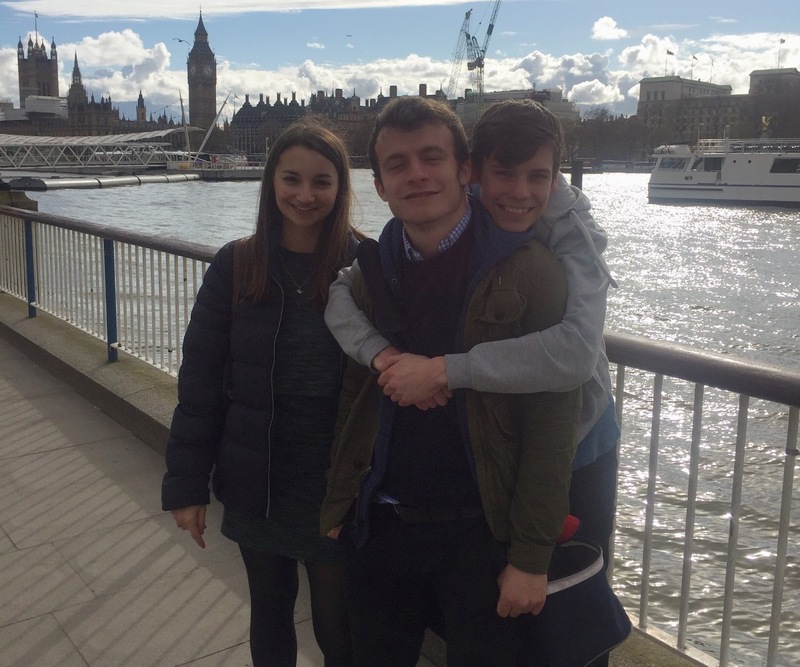 Even when they annoy me and leave the corridor in a state these guys (And Ali who couldn't make our day out in London) are pretty great and Ellie has become such a close friend - I honestly don't know what I'd do without her half the time we're at uni. I think it's important sometimes to appreciate and acknowledge the people that make everything a little bit easier and, since they've become such a big part of my life, I thought it was about time I documented that in this space of mine. Happy Friday everyone! I hope this week hasn't dragged on for too long and that you've all got something relaxing planned for this weekend. I've got a lunch date with my Mum and one of our good friends penned in the diary for Sunday which I'm really looking forward to, but apart from that I haven't got much on. A few weeks ago now I was feeling really burnt out from having had so much academic reading over the past term and was desperately wanting to pick up some books that would get me excited about reading again. With this in mind, I popped into my local Waterstones and found a few that had either been on my book wishlist for a while or caught my eye then and there. They all look right up my street so I thought I'd share them with you today on the off chance you're looking for some new reads this Spring too! 1 // The Goldfinch by Donna Tartt - "Aged thirteen, Theo Decker, son of a devoted mother and an absent father, miraculously survives a catastrophe that otherwise tears his life apart. Alone and rudderless in New York, he is taken in by the family of a wealthy friend. Theo is tormented by longing for his mother and down the years he clings to the thing that most reminds him of her: a small, captivating painting that ultimately draws him into the criminal underworld." That's a gripping premise for a story if I ever heard one, right?! In January I finished The Secret History, also by Tartt, and absolutely *loved* it. If you're ever in a reading slump, Tartt is the author to go to. I had a feeling from having read The Secret History that picking up another of her novels would interest me in reading again and I was so right about this. I'm only a couple of hundred pages into The Goldfinch but I'm so intrigued to see what happens! 2 // Heartburn by Nora Ephron - "Seven months into her pregnancy, Rachel discovers that her husband is in love with another woman. The fact that the other woman has 'a neck as long as an arm and a nose as long as a thumb', is no consolation. Food sometimes is, though, since Rachel is a cookery writer, and between trying to win Mark back and wishing him dead, she offers us some of her favourite recipes. Heartburn is a roller coaster of love, betrayal, loss and - most satisfyingly - revenge." Again, having read that blurb, how could you not want to find out what happens in this book? I've heard such amazing things about Ephron and her writing (both in novels and in writing screenplays) and have always loved reading about relationships and their intricacies so I can't wait to get stuck into this soon. 3 // On Beauty by Zadie Smith - "Why do we fall in love with the people we do? Why do we visit our mistakes on our children? What makes life truly beautiful? Set in New England mainly and London partly, On Beauty concerns a pair of feuding families - the Belseys and the Kippses - and a clutch of doomed affairs. It puts low morals among high ideals and asks some searching questions about what life does to love. For the Belseys and the Kippses, the confusions - both personal and political - of our uncertain age are about to be brought close to home: right to the heart of the family." I've heard a huge amount of praise for this book and so it's been on my list for a while. But it was reading those first three questions of the description in the bookshop that convinced me to take it home. I'm such a sucker for novels that discuss the big questions and really anything that looks at human nature in depth through fiction. I think these novels are where we can find pieces of ourselves and our own experiences and I don't know about you but, although I like to read to escape for a while, it's always comforting to not drift too far from the real world in being introduced to characters who have relationships which are similar to ones we recognise in real life. 4 // Get the Glow by Madeleine Shaw - "Nutritional health coach to the stars Madeleine Shaw shows you how you can transform your attitude to food and overhaul your health. With over 100 exciting, mouthwatering recipes packed with bold flavours and nutrient-rich ingredients, you'll be amazed at how easy it is to nourish your beautiful body. With inventive breakfasts, simple snacks, lunches for those on the go, speedy suppers, weekend feasts for the family and deceptively healthy desserts, this book will inspire you to fall back in love with food, life and yourself." I've never written about cookbooks before and, while it's definitely not convential reading for me, I have been enjoying leafing through Get the Glow over the past few weeks. Coming home from uni having been catered and eaten so much crap over the past few months has actually made me crave healthy food for possibly the first time in my life... it's a miracle! A friend recommended this book to give me a bit of inspiration for new meals and, so far I've only tried a couple of dishes from it, but I've loved both of those (tomato turkey meatballs & chickpea and lentil dhal) so I thought I'd share it here. It's a little bit mad how much I'm enjoying cooking for myself while being at home and how much better I feel for eating more healthily. Madeleine Shaw seems to have such a good attitude to food and health - I really admire her take on things so if you're looking for a new cookbook I'd recommend having a look at this! I hope these recommendations are helpful. 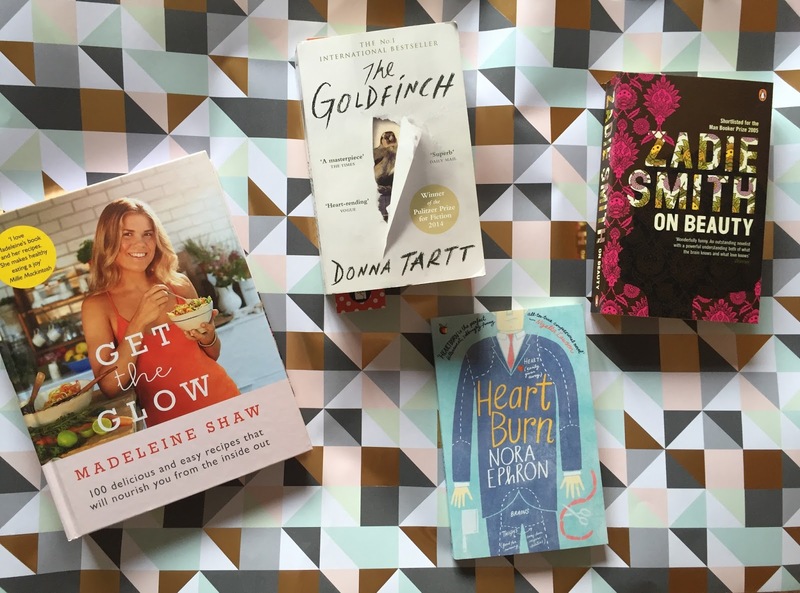 Please let me know if you've read any of these/have used Get the Glow and what you thought, I'd love to hear your opinions! I've often shied away from talking about feminism. 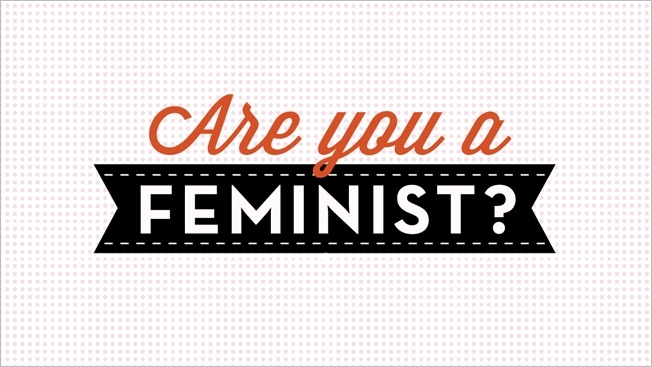 If you asked me I would tell you that I am, of course, a feminist. I say 'of course' because to me it seems obvious that if you are in any way a decent human being then you will be for equal rights, for both women and men. Nonetheless, I've never felt like any sort of authority on the subject and so didn't feel it was worth me putting my two cents in. Having said that, two things have recently made me realise that absolutely anyone can be an authority on feminism. The first was watching an interview with Caitlin Moran (who is such an inspiration, everyone should go and read How To Be A Woman) in which she talks about how at first she didn't think she was any authority to talk about politics but then realised politics affects everyone and so everyone should be able to talk about it. This applies to feminism too. I challenge you to find any human on this planet who has not been affected by feminism, even if they are not aware that they have been. The idea that women should be stay at home mums or get unequal pay compared with men doing the same job because they may in the future take maternity leave is an issue of feminism as it's inequality between the sexes. In exactly the same way, the view or societal expectation that men don't cry and should be the prime earners in a family unit is an issue of feminism because again it's an example of inequality between the sexes. With this in mind, I really don't think you could find someone who has not been impacted by feminism or, for that matter, a lack of it. The second thing was when I was having a conversation with one of my very close friends about a week ago. The conversation wasn't even about feminism, at least not at first. We were just talking about boys and whether we feel comfortable with texting a boy first, which neither of us happen to. One of her friends had told her that, in her opinion, to feel uneasy about texting a boy first is to succumb to the patriarchy and idea that women are men's property and should only speak when spoken to, etc. For me, this is complete nonsense and it highlighted why feminism is seemingly such a taboo topic; there are so many misconceptions of what it truly is. The point of feminism isn't man-hating or the belief that all women should do the complete opposite of what has been expected of them in history. It's the belief that they should have complete freedom to do what they want and act how they want (within reason obviously). And the same goes for men. Just because society has traditionally dictated that a woman should be courted by a man and never make the first move, it doesn't therefore mean that, now we're increasingly fighting for equal rights, women must make the first move and want to do so. To me, it means that women should know they are absolutely within their rights to do so but that if you don't want to or it doesn't sit right with you, you don't have to. The point is freedom of choice, regardless of what society has expected of us. I'm all for women making the first move if that's what they want to do, but, for me personally, I don't often feel comfortable doing that. 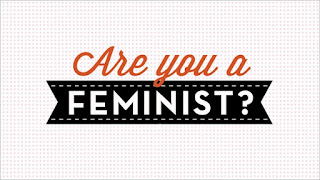 And that doesn't mean I'm not a feminist. It means that I know I completely have the right to do this but I choose not to. It saddens me to see women and men shaming each other for making choices that are in line with what has been traditionally expected of women. In my view, that's not the definition of feminism at all and it sends the wrong message to people trying to escape societal expectations. These things have made me realise how important it is that we talk about feminism so that we can understand what it means in practice, without the misconceptions. This has just been some food for thought really, but I'd love to hear what you think. Do you think you can be a feminist and choose to have a preference towards some things that have typically been expected of the sexes as I do? Or do you think we should all be challenging those stereotypes? I hope you all had a relaxing bank holiday weekend! I'm home in London now for about a month until I go back to Exeter for my end of year exams and I'm very excited about it. I'm loving university but it's nice to come home to recuperate after a long term. 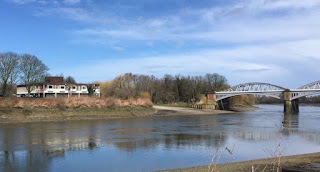 On Easter Sunday my friends and I went to watch the Oxbridge Boat Race in Barnes and it was such a lovely day so I thought I'd share a little photo diary today. One of our friends, Issy, rowed in the Oxford Ladies' reserve boat, Osiris, and so of course we decided to go along and support her. Being able to see Issy row in this race was so incredible. 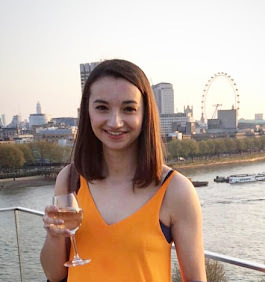 I've never been sporty (although I have picked up netball again at uni after five years!) and, because of that, have always been a little bit in awe of people who can give up so much of their lives for sport. So to be able to physically see one of my friends achieve so much made me burst with pride.